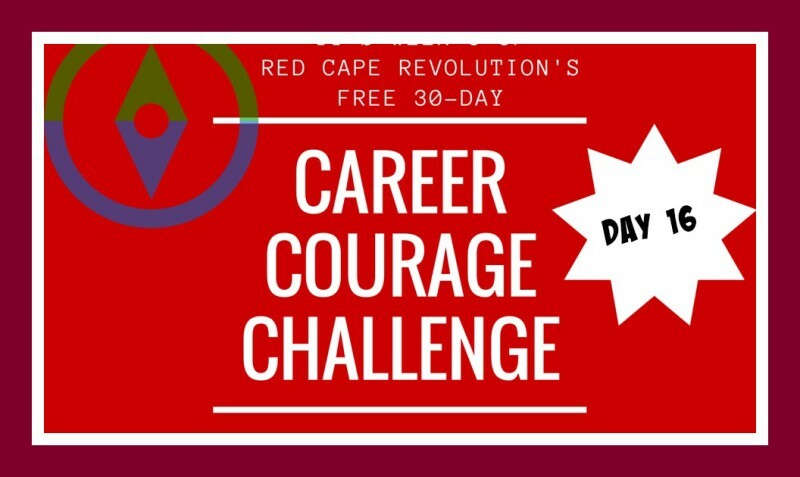 Welcome to Day 16 of our Career Courage Challenge. It’s getting juicy—keep taking those baby steps and creating more results for your career and life! Love it when you share in email or in the Comments at the end of this article, or on Facebook and LinkedIn, too. And remember, I’ve been taking the challenges along with you–just check out the Comments. Today, with that goal in mind, let’s take a look at where you are already using that courage. Where are you already brave? Where are you already making decisions with a bold heart as well as your smart head? Maybe it’s in what you are choosing to spend time on each day, or who you’re choosing to spend time with. Maybe it’s in what you’re saying no to. Maybe it’s as simple as you being honest with yourself that you are ready for more courage, for change for the better, for good. Somewhere in your life at work, you’re already generating a spark of courage. Notice it, appreciate it, and start to nurture it into bigger, more amazing flames of success.